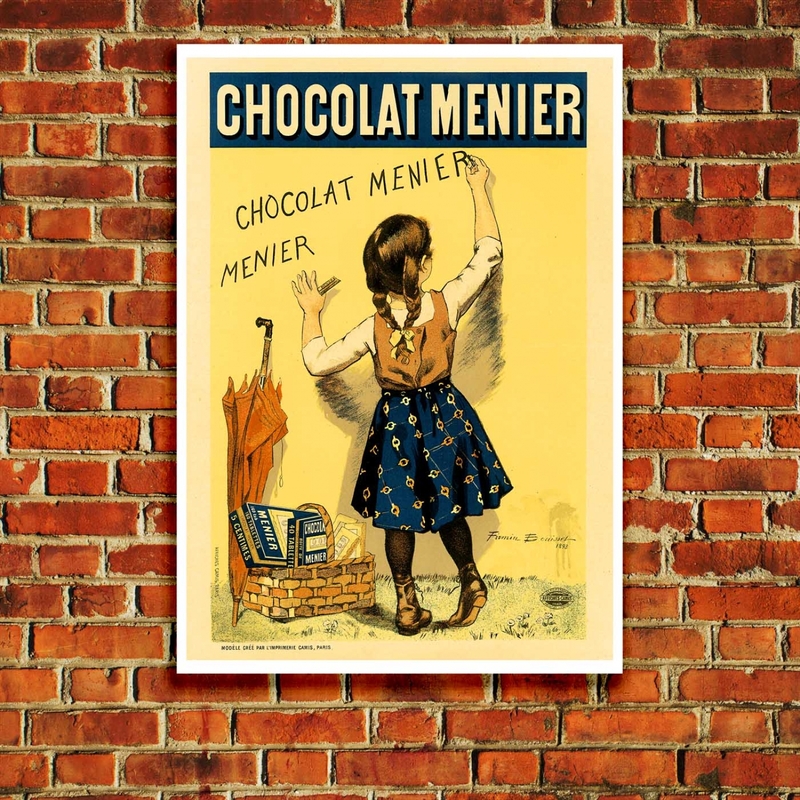 An example of "Affiche Artistique", Advertising Chocolate. Artist: Firmin Bouisset. Published: 1893. Firmin Bouisset was born in Moissac in south western France, a talented illustrator, specialising in painting children and publishing illustrated books. His illustrations of children drew the attention of food companies such as Maggi and Lefèvre-Utile. Bouisset developed the logo using the initials LU for the Lefèvre-Utile company and his illustration for the “Little Schoolboy” biscuits is still in use by the company today. 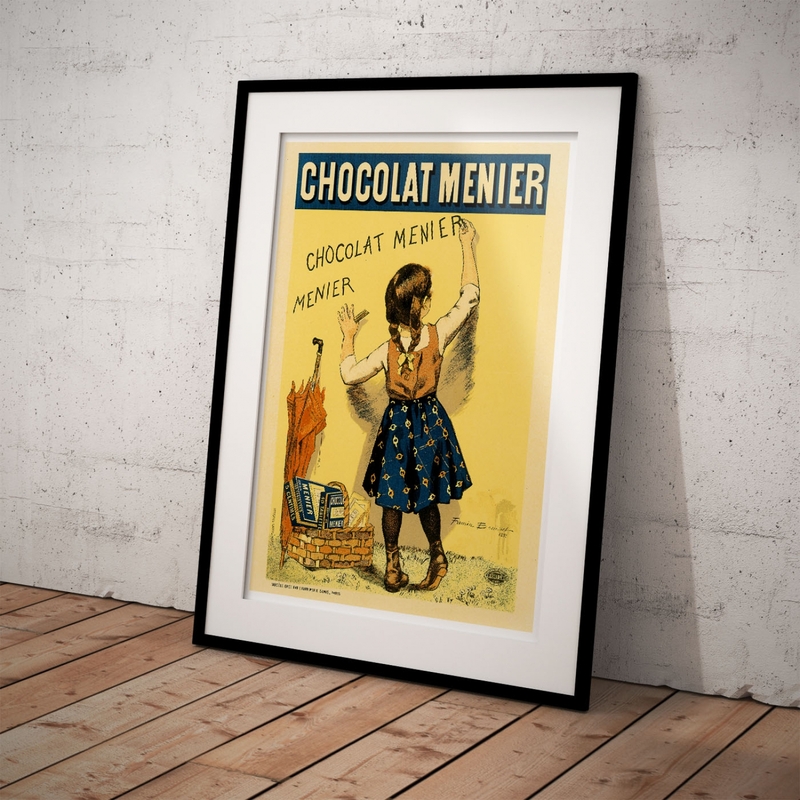 In 1892, Bouisset was contracted with the Menier Company. 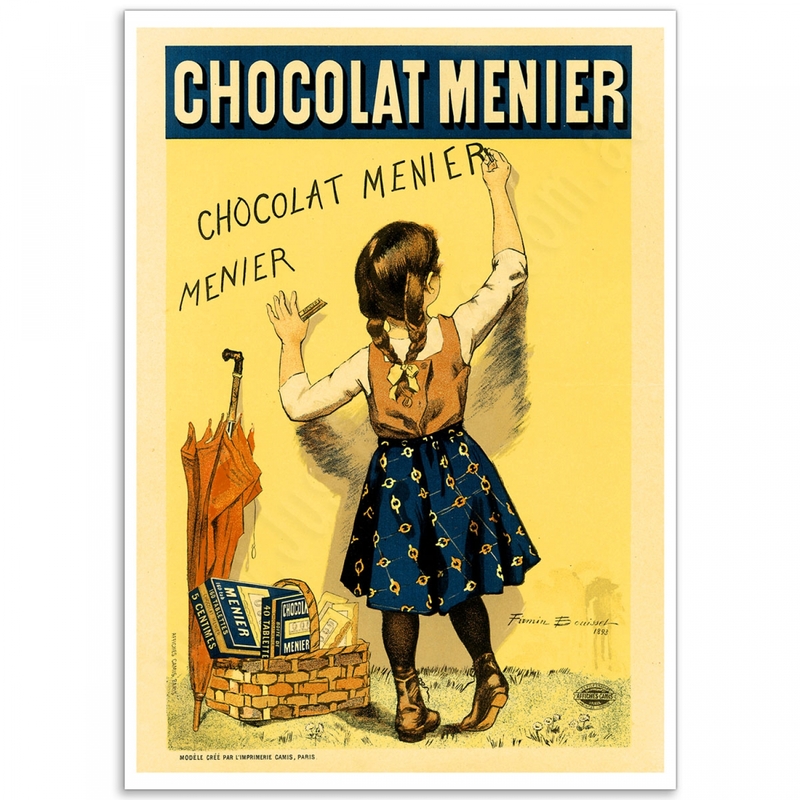 He used his daughter Yvonne as the model for the little girl writing her name in chocolate, which was to become an iconic image for the company. Firmin Bouisset died in Paris in 1925. 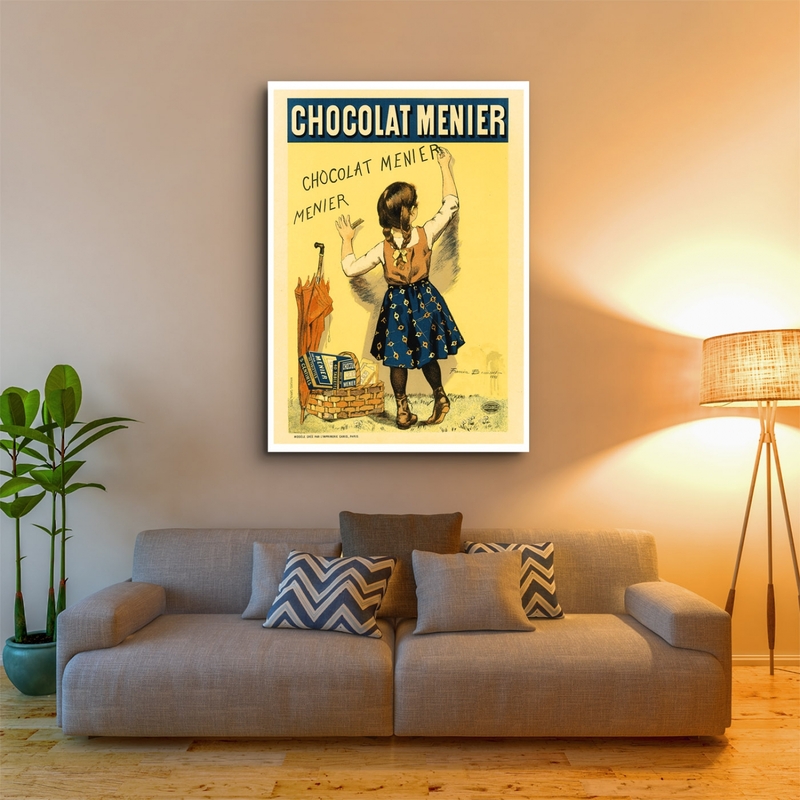 The 'Chocolat Menier by Firmin Bouisset' Poster is a reproduction of a Vintage Lithographic Poster. 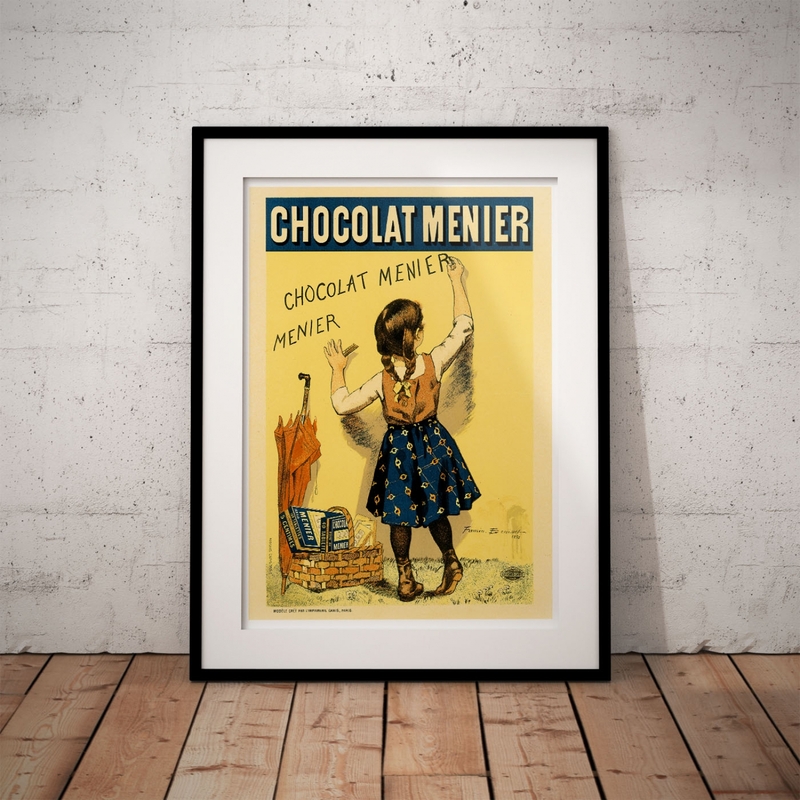 This poster is digitally printed on high quality paper with vivid colour and exceptional detail. We use Australia Post and your print will be delivered in a postage tube for extra protection. Our online images are electronically watermarked, the actual purchased prints are not. Click here to for the Print Size Guide for details. Quinquina Dubonnet, Jules Cheret - PosterA wonderful example of "Affiche Artistique" advertising "Qu..
Jules-Cheret - Theatre de L'Opera PosterJules Cheret's posters are a Celebration of Paris. ..
Kassama Corn Flour - Beggarstaffs PosterThe Beggarstaff Brothers were greatly influenced by Henri de..